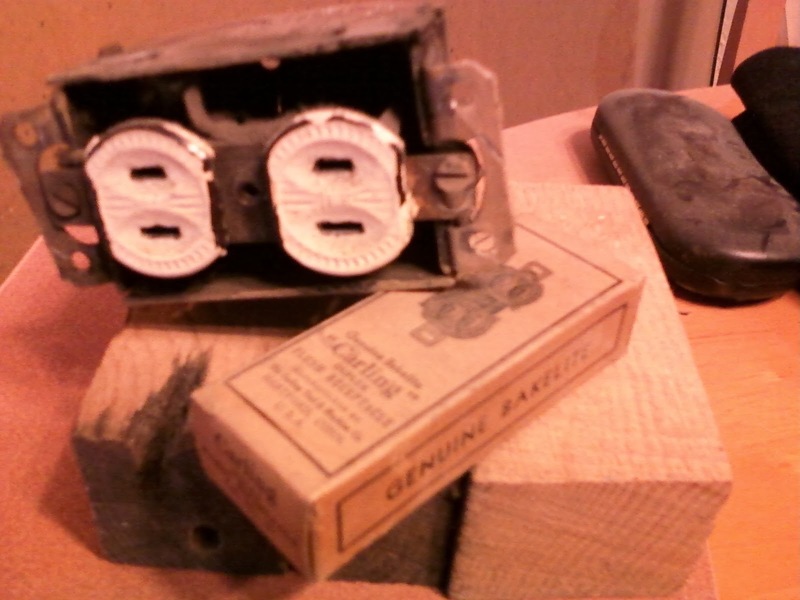 I found this box in the plaster ceiling in my kitchen, when trying to pull some wire to my back bedroom. I didn't even know what GENUINE BAKELITE was, until I looked up bakelite. It turns out that it is an old type of plastic, which is non-conductive. I don't know when this dates this receptacle, but its cool that I wound up ripping out one of its mates [the receptacle itself] from upstairs. I've since tossed it in the trash. Some suckerspeople actually think they can make some money on this crap. Also, one of my favorite errors is the inappropriate use of quotation marks. Why is the company, Carling, in quotations? Who is being quoted here? Who cares, I guess. Cool box in perfect condition. Thought I would share.